After a long wait, Malevolent Machines has just been released to the Play Store and it looks epic. 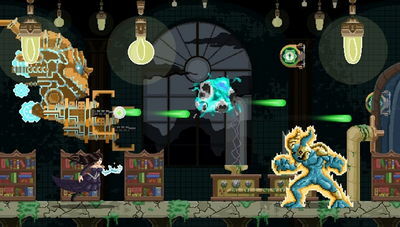 The game is a combination of a steampunk endless runner and shoot-em-up mechanics dressed in stunning pixel art graphics. Help Leyla and her powerful Juggerbot destroy the evil machines using nuclear lasers, typhoon missiles, and a blaster cannon. 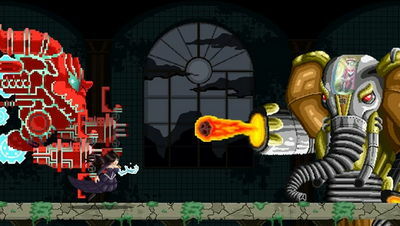 Malevolent Machines allows players to swap between the free-running, platforming precision of Leyla to the destructive shooting of the Juggerbot in real time. It's an incredible mix that breathes life into these 2 rather saturated genres, offering players an immersive and fun gameplay experience never seen before!